Our annual Open Day event is this weekend! Fairies (big and small) have been busy working away in the garden getting it ready to welcome lots of local families through our gates. If you don’t already have plans, why not pop down and have a play and a look around? 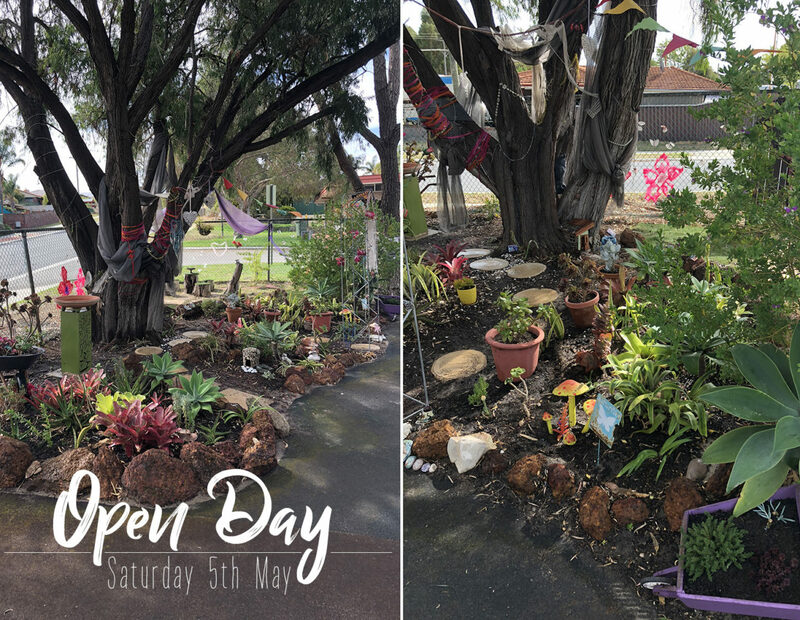 As well as exploring our fairy garden there will be plenty to keep the kids busy, including: arts and crafts, face painting and a community CD weaving art project. A very special fairy will be making an appearance too. For the grown ups there will be a cake stall, sausage sizzle, raffle and silent auction. Plus the opportunity to meet and talk to the teachers and current and past kindy families. Gates open at 10am. Click here for more info or to add this event to your calendar.